An album where Kiko transitions, it contains a jeweles like 'Y yo lucho'. 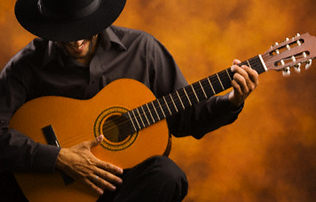 Rock Gitano is a magnificent flamenco-rock fusion piece of work. It's quality is seen through Raimundo's mastery of the guitar and Rafael's blends of tarantos with rock and roll in his voice. The band brings together rock, 'Levante', tanguillos, 'Badajoz', all types of bulerías, tangos, blues and even a cover of Allman Brothers Band's 'Jessica'. Ever since he started the band 'Veneno', Kiko Veneno has been considered the pioneer of pop-flamenco fusion. This is an indispensable album to understand the evolution of New flamenco. An exquisite combination of lyricism and everyday circumstances, which Kiko's voice turns into poetry.